When developing a realistic hair system, it is important to use high-quality materials. Most of the focus is on finding natural hair that is well-maintained, but the hair system base materials are also just as important to having a good hair piece. These systems have an ultra-light and super-thin layer of polyurethane that clings to the scalp and keeps hair in place. They are some of the most realistic looking systems available, with a look and feel just like regular skin. 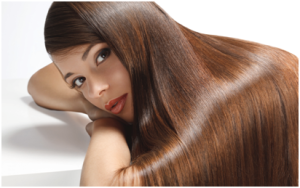 Light and breathable, hair systems using lace are highly comfortable and undetectable. In these types of systems, the hair is hand-tied to the base, which consists of fine, breathable lace. The material is flesh-toned, allowing it to blend in easily so it is completely invisible. For a blend of durability and comfort, with the additional feature of being undetectable, a lace front hair system is another option. These systems have a small edging made of polyurethane, which wraps around the sides and back of the head. Which of these hair system base materials works best for you depends on your personal preferences, as well as what kinds of activities you will be doing in your hair system. If you want to learn more about these base materials, contact us for a free consultation. We can discuss which options are the best for you and start designing a hair system that best suits your lifestyle. In the meantime, our hair replacement specialists put together a Hair System Maintenance Guide. Feel free to browse through them.If these are not enough and you still have some questions, feel free to contact us.